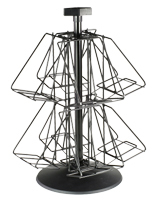 Shopping for metal countertop brochure racks? 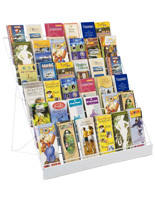 Shop our collection of literature holders in aluminum, steel, and wire. Our publication stands hold catalogs and pamphlets in stores and service businesses. 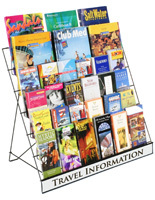 Each of these marketing displays comes with one or more pockets for leaflets. Distribute promotional publications and products from small- and large-footprint holders. 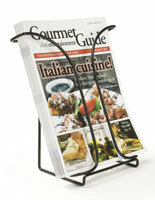 These metal countertop brochure racks display magazines, and trifolds. 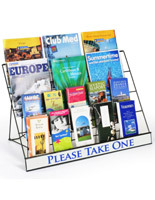 Place these literature holders in visitor centers, airports, train stations, and real estate offices. Selling CD's, DVD's, cards, or gift certificates in a retail store? 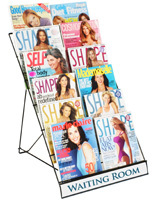 Encourage impulse buys by placing metal countertop brochure racks by the register. 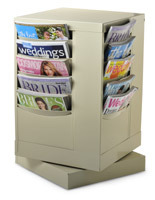 Lightweight and easy to move, our publication dispensers are easy to store when not in use. 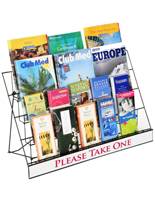 Place metal countertop brochure racks around commercial venues to distribute marketing collateral at trade shows and promotional events. 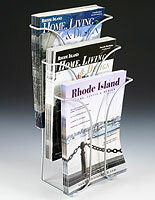 Service organizations use literature holders to advertise new merchandise. 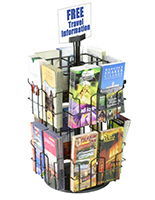 Our countertop brochure racks accommodate 4” brochures and 8.5” x 11” magazines. Tiered trifold stands for countertops offer storage on two or more levels. Choose literature holders with adjustable pockets for catalogs and trifolds. Some of these fixed pamphlet holders come with a customizable sign channel. 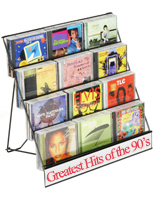 Display taglines and logos with display stands with customized signage. Other shop owners prefer rotating racks for customer browsing on both sides of the display. Choose metal tabletop pamphlet dispensers that store publications vertically. Be sure to incorporate wire countertop fixtures into your integrated marketing campaign! 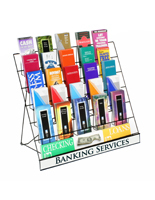 Buy wire brochure dispensers for sales collateral in bulk for deep savings. Be sure to include them in your integrated marketing campaign! 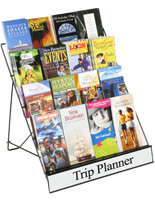 Our catalog holders work best in stores, offices, and service businesses. Spinning models store “take-one” pamphlets and magazines. Shop BrochureHoldersNow for rotating stands with custom signage for branding. Enjoy lightning fast shipping for all in-stock items.